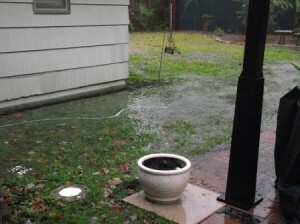 Having drainage in the backyard can prove very important especially if you live in an area that is heavily rainy. 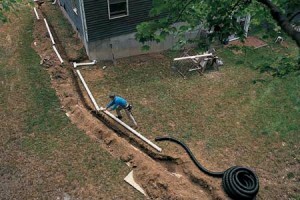 Here are some tips on how to install drainage. First in the process is the searching for the highest and lowest place in the yard. 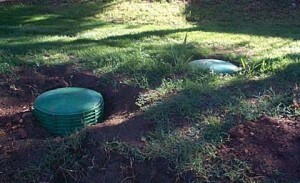 These two points should represent the points where the drainage will extend. 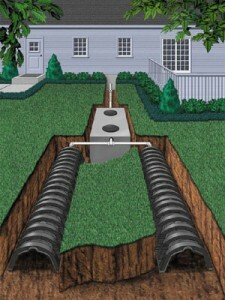 After you know these points you can draw the route of the drainage as you want it to be, preferably with chalk powder. 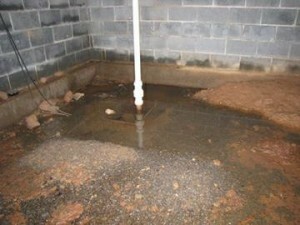 If you don’t want the foundation to be affected by water then you should build the drainage 5,6 feet away from it. 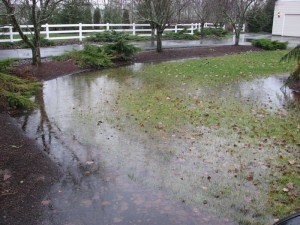 On the path that you drew earlier dig a trench with a spade. 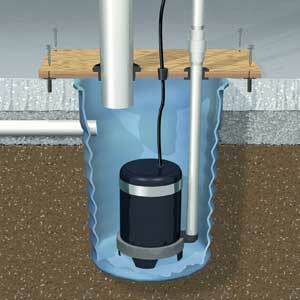 Dig around 2 feet deep and only 0.5 feet wide. Make sure that the route is on a downwards slope all the time. 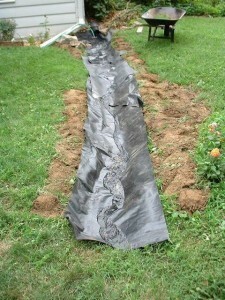 In the end press the soil in the trench with the palm so it stays compact. 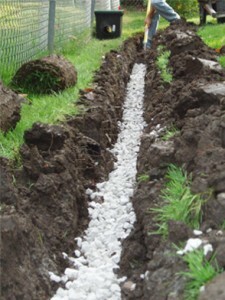 The next step s about filling the trench with 2 inches of gravel. 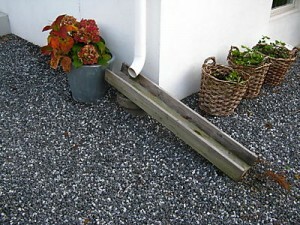 Make sure all the gravel is applied evenly. No uneven spots are allowed. 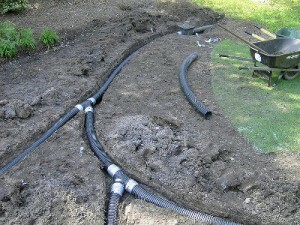 Moving on, you have to place the perforated pipe with the holes facing the gravel and cover it with pipe wrap. 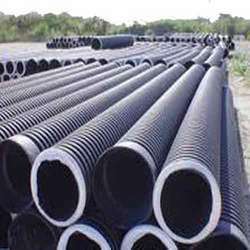 It is very important that you place the pipe with the holes facing downwards. Very important! 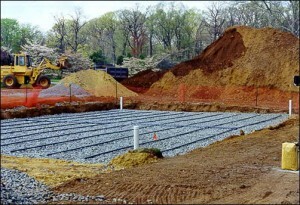 Now continue to pour the gravel almost until you fill in the entire trench. Press the gravel to make it compact. 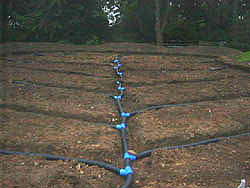 Over the remaining space to the top put the sod and your drainage is complete. 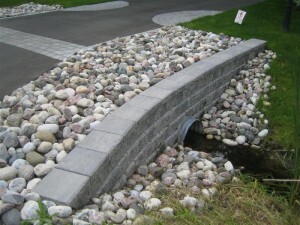 You can improve the drainage by adding some colored stones over the drainage to make it look better.